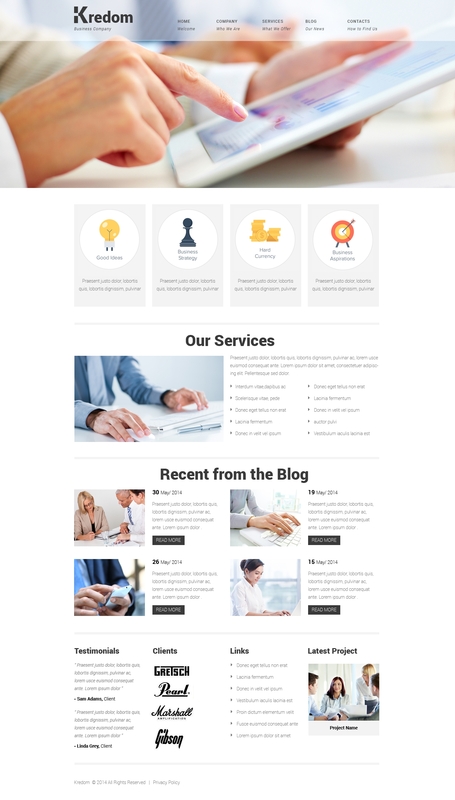 This theme is a website design designed for Business & Services, businessman or business firm. If you are searching for a plain and quick, but at the same time creative solution to represent your Business, Services or business magazine online, this design is the best option. Pretty much every element of this particular layout can be adapted to suit your company perfectly. Your web page guests can effectively view it on various mobile gadgets thanks to fully responsive nature of the template. This amazing website layout is also well-documented, and comes with specialist round-the-clock tech support. Select this template, and it'll be easy for you to begin a successful web project right away!